Swipe right to move to the right lane. Swipe left to move to the left lane. Swipe up to execute a stunt on a ramp! Swipe next to a car to take it down! Rear-Ending a car will slow you down! Swipe left or right to execute a twister! Every time you perform a take down, your Nitro bar will increase. Try it! Stunts also increase your Nitro Bar. Try to collect as much Nitro as possible. Careful: If you see the police, double tap the screen to activate the nitro and lose them! Upgrading your car is a great way to speed up your progress through the turf. The faster you go, the bigger the challenge. Bigger challenges yield higher rewards. Only the best gateway drivers get away with winning a 3-star challenge! The mission screen will have an indication of how difficult that mission will be with your current car. Too hard? Upgrade or get a new car.! Getting a high score won't be a problem with a combo extender boost! Link your facebook profile now, compete easily with your friends and earn the following achievement. Gears: Improves car acceleration and head star distance. Nitro Tank: Collects nitro faster. Rookie League: Collect as many league points as possible and reach the next league for even better rewards! Gang Event League Champions:Complete as many objectives as you can and earn massive amounts of league points! Solo Event Boosts are UP:Complete as many objectives as you can and earn massive amounts of boost! Participate in gang challenges for awesome rewards! Compete with other gangs for the top positions! Get an additional score bonus! Each week, score as many League Points as possible for your chance to gain promotion to higher leagues! You can get full energy in Asphalt OVERDRIVE app at anytime. You can get this cheat by changing your phone's time setting. Close your Asphalt OVERDRIVE app by either restarting your phone or by killing it on your task manager. Open Asphalt OVERDRIVE app and you will get your full energy. If you decided to get full energy again, just complete the step 1-3. 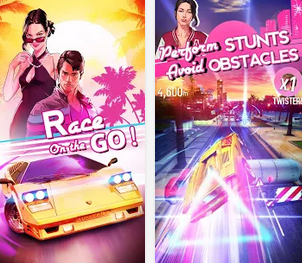 Open Asphalt OVERDRIVE app but do not play a single game. Open Asphalt OVERDRIVE app just to make sure that there is no problem. Fortunately you can do it manually! To do it manually, just use search function in your hex editor app, enter your current Gold and Money value in Asphalt OVERDRIVE and search for it (choose DWORD) . If you see a large list of results, you need to change the value of current Gold and Money value in Asphalt OVERDRIVE by either consuming them or adding them. Go back to the list and find your new current Gold and Money value in Asphalt OVERDRIVE to the large list and finally you can edit the value.